If you carry rackets in a large racket bag, you know that it’s not practical to continue using a standard head cover inside. 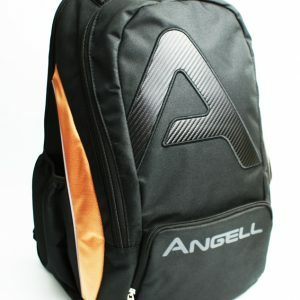 The Angell Racket Sac will protect frames, without taking up all that valuable space. Designed as part of the V3 Custom range the new TC2 backpack is equipped with 1 large main front compartment and holds up to 2 rackets in a back zippered pocket.